By seizing the so-called "Philadelphi" route along the Gaza- Egyptian international borderline, Hamas has finally taken full control of all exits and border crossings into the Gaza Strip- where they are about to create an Islamic Fundamentalist Hamastan. A virtual subterranean tunnel city has been constructed underneath the Egyptian border line. Israel is highly concerned from the flow of Iranian originating weapons and munitions into Gaza through the underground tunnels under the Philadelphi line that was abandoned by Israel two years ago. That will make Gaza the terror empire of the Middle East under Iranian-Syrian, or al Qaeda control. Much now depends on the future conduct of the Egyptian authorities in Sinai. Sofar they have done little to stop the smuggling route, either overland or underground. At least 10 people were killed and dozens wounded as Hamas captured the headquarters of the Fatah-allied security forces in northern Gaza on Tuesday evening, seizing a key prize in the bloody battle for control of the Gaza Strip. With the successful launch Monday, June 11, 2007 of its Ofeq-7 imaging satellite, Israel sustained its essential intelligence for any war contingency. According to Israel's Ministry of Defense, the new satellite was launched westward over the Mediterranean by the local-made Shavit three-stage solid fuel vehicle from the Palmachim aerospace base at 02:15 IT, June 11. The Ministry of Defense’s (MoD’s) intensified space drive comes amid increasing concern here about Iran’s nuclear development program, Syria’s contradictory intimations toward peace talks or war, and the support both nations provide to Hizbollah, Hamas and other designated terrorist groups. The "Six Day War" started at 7:45AM four decades ago today. There are widely varying opinions on how, and how much, the outcome influences current events. Some articles about it are linked in the continuation, if you're interested. President Bush said Friday he regrets that the debate between the White House and a Democratic-controlled Congress over the Iraq war has forced him into vetoing an Iraq funding bill. Talks between Secretary of State Condoleezza Rice and the Israeli and Palestinian leaders, initially billed as a new U.S. push to restart peace efforts, ended Monday with little progress other than a commitment to meet again. In a 90-second statement following the two-hour meeting, Rice said the three discussed the changed political circumstances arising from a Palestinian power-sharing deal that includes Hamas militants. U.S. and Israeli dissatisfaction with a Palestinian power-sharing deal clouded the talks. Neither Palestinian President Mahmoud Abbas nor Israeli Prime Minister Ehud Olmert joined Rice as she delivered her statement, and she left the room without taking questions from reporters. Rice reported no progress in restarting talks on difficult issues that will define a future Palestinian state, such as borders, the fate of disputed Jerusalem and the right that Palestinians claim to return to homes they left when Israel was created. Rice said she would return soon to the Middle East to push forward with attempts to restart peace making. Maybe Jimmy Carter should give it a try. Palestinian unity government "will not recognize Israel"
The Palestinian unity government which will be formed under an agreement reached in Saudi Arabia will not recognize Israel, a political adviser to Hamas Prime Minister Ismail Haniyeh said on Saturday. "The issue of recognition was not addressed at all (in Mecca)," Ahmed Youssef said. "In the platform of the new government there will be no sign of recognition (of Israel), regardless of the pressures the United States and the Quartet would exert," he said. 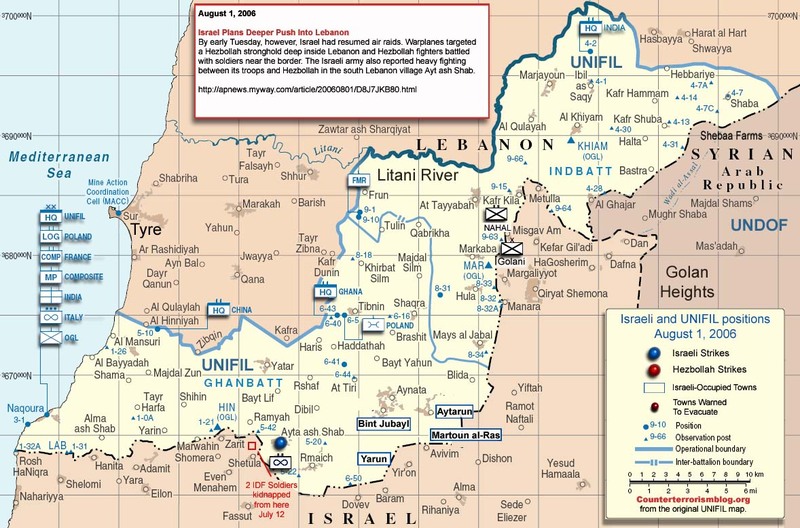 The Quartet Committee for Middle East peace (United Nations, United States, European Union, Russia) conditionally welcomed a Palestinian national unity government, insisting that any government should renounce violence, recognize Israel and abide by past signed peace agreements including the Road Map. Insistence is one thing. Enforcement is quite another. Appears the factions have only agreed to stop fighting each other. They'll still be threatening and harassing Israel. Their quality of life will continue to suffer as they focus on hatred for other people. [Jimmy Carter] allows ideology or opinion to get in the way of facts. While Carter says that he wrote the book to educate and provoke debate, the narrative aims its attack toward Israel, Israeli politicians, and Israel's supporters. It contains egregious errors of both commission and omission. To suit his desired ends, he manipulates information, redefines facts, and exaggerates conclusions. The Carter Center has a transcript of his remarks at Brandeis University on 23JAN07 and a press release about his meeting with some rabbis on 15DEC06. Ernie Suggs of the AJC defends Carter in the Sun 28JAN07 AjC. Admitting he's been hurt by the backlash against his controversial book on the Middle East, former President Jimmy Carter on Tuesday told 1,700 college students he was sorry for some of the passages but said the book's overriding theme urged Jews and Palestinians toward peace. Carter, who was invited to speak at Jewish-sponsored Brandeis University near Boston by a group of students and faculty, said he's "deeply concerned about the tension that has arisen" from his latest book, "Palestine: Peace Not Apartheid." Carter apologized for a passage in the book that says terrorist attacks on Israel will end when the Jewish state gives up control of the West Bank, saying it was worded "in an improper and stupid way." "I have written and asked my publisher to change it in upcoming editions,'' Carter said. "I apologize to you personally, to everyone here." "It is imperative that the general Arab community and all significant Palestinian groups make it clear that they will end the suicide bombings and other acts of terrorism when international laws and the ultimate goals of the Roadmap for Peace are accepted by Israel."